I am always on the lookout for any opportunity that allows my camera to show off its capabilities. In any event, be it a casual drive to the countryside or a party, a moment need not cry out for photos in order to make me take out my camera. Due to the limited storage capacity of my camera, I prefer to sync nearly ALL my photographs to my computer. (Who has the time to manually select the photographs that are worthy of keeping?) Also, I often save a lot of pictures into my computer for my personal blog and researches. Basically, my computer is a dumping ground for all my digital photos and this is true for most people I guess. So, it came as no surprise that my laptop had amassed more than 10,000 photographs scattered all over the place. 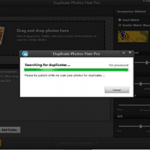 Unfortunately, going through such a huge collection to remove duplicate and similar looking photos was proving to be a herculean task, so I decided to look for something automated that could do the job for me. 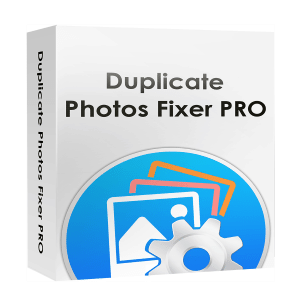 That’s when I came across Duplicate Photos Fixer Pro, a new app by Systweak Software which did a great job for my messy photo collection. The question is, is it good enough for you? Let’s find out. 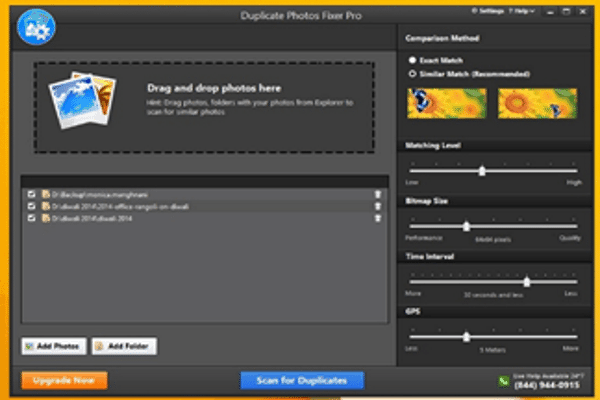 Simply put, Duplicate Photos Fixer Pro for Windows scans your system for identical (duplicate) or near-identical photographs automatically and allows you to delete them with the click of a button. Simple and forthright, the home-screen window has a clean and uncluttered design. I don’t think anyone will face any issues with handling this software. Full marks to the user interface. 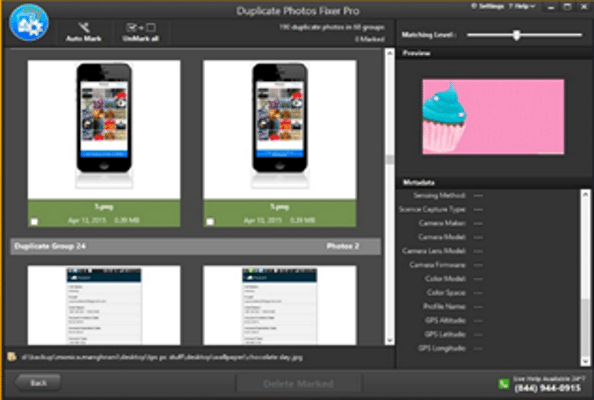 To search for duplicate and similar copies, one can add multiple folders for scanning. If the photos are scattered, it is advised to collect all photos in a single folder and then add that folder to the scan. This will make your task much easier. I moved forward with the default settings, which worked fine for me but you can customize it per your needs (you may change Matching Level in order to set the level of similarity you desire between any of two photos). The app scanned approximately 1000 photographs in less than 15 seconds and this is an impressive feat (I added only a few selected folders for testing purpose). Once the scan was completed, the app created multiple groups, each holding identical or near-identical copies of images. 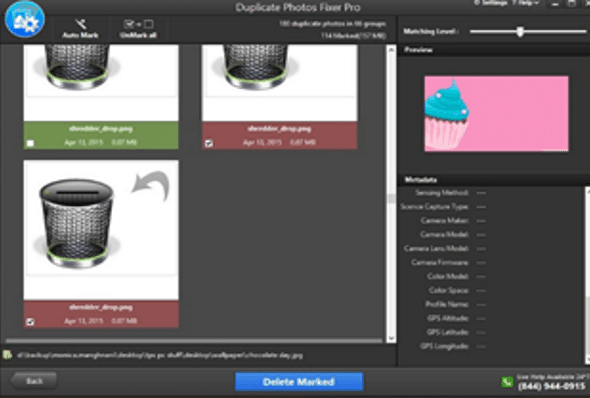 I clicked on Auto Mark button and that marked all copies of duplicate photos except one of its instances (which will be retained). 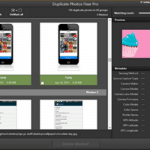 You may unmark all photos with a click as well. The thumbnails are big enough to let you see clearly whether you want to keep any photos or remove them. 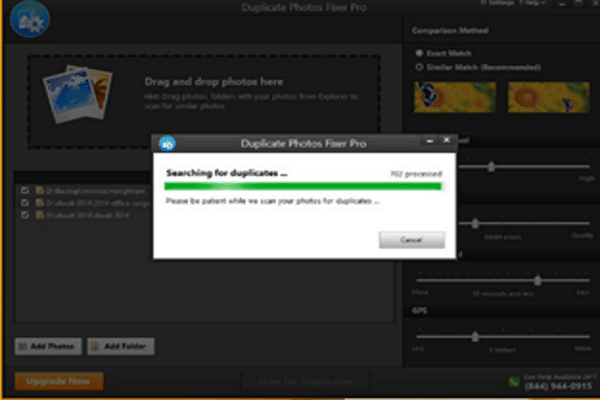 Next, I clicked the Delete Marked button and was able to remove all duplicate and similar looking copies of photographs in just a couple of minutes. 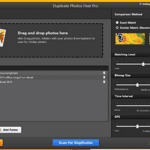 Duplicate photos fixer pro is one of the quickest ways to spot identical and similar images and to delete them in a few easy clicks from any Windows machine. The interface is user-friendly so no complaints in that department as well. 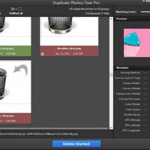 Adding folders can be a task if you are not habitual of keeping your photographs organized. As I advised earlier in the post, make sure you move your photographs into recognizable folders and then add them for scanning. Overall, it is a very good package to get your windows picture gallery in good shape. You should absolutely give this one a try to save time and storage space.